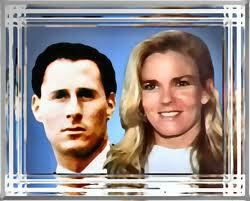 It is hard to believe it has been 20 years since the murders of Nicole Brown Simpson and her friend Ron Goldman. The two were found brutally murdered outside of her home in Los Angeles, CA. Long after the so-called “not guilty” verdict of O J Simpson in the horrific murders of Nicole Brown Simpson and Ron Goldman so many questions still remain. There was a mountain of evidence, including DNA, that should have made this a slam dunk case. However, in what was probably the greatest example ever of jury nullification, a jury acquitted OJ Simpson in the double murders. Of course, common sense and rational people knew then and know now much different. 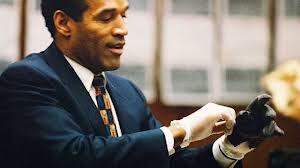 The murder trial of O.J Simpson was dubbed, The Trial of the Century. But sadly, instead of the trial being about finding justice for Nicole Brown Simpson and Ron Goldman, for their brutal and savage murders, the Defense ‘Dream Team’ sought to make the trial about race and pulled the race card out from the bottom of the deck. The trial divided America. The verdict was a travesty of justice and for all those involved in that travesty, and applauded that travesty … God help you. To many, particularly in minority communities, the trial of Orenthal James Simpson became not so much a determination of his guilt or innocence of murder in the first degree, beyond a reasonable doubt, but whether or not a black man could find justice in a legal system designed by and largely administered by whites. To others, many of whom were white, the key question was whether a mostly minority jury would convict a black celebrity regardless of the weight of evidence against him. AP PHOTOS: Memorable images from OJ Simpson case. Years after O.J. Simpson was acquitted of the murders, questions remain about what happened 20 years ago this month and how an apparently strong case with “a mountain of DNA evidence” failed result in a conviction. Shortly after midnight on the morning of June 13, 1994, Nicole Brown Simpson and Ron Goldman were found murdered outside her home in Los Angeles. Evidence on the scene led police to suspect O.J. Simpson of the murders, and Simpson’s lawyers arranged for him to turn himself in on the morning of June 17. Soon after Simpson failed to appear at the allotted time, police issued an all-points bulletin. Early that evening, a bizarre low-speed chase ensued, with up to 20 police cars pursuing Simpson in his white Bronco, driven by his friend Al Cowlings, while media helicopters televised the chase nationwide. The chase ended at Simpson’s house, where he eventually surrendered peacefully. Simpson’s trial on two counts of murder began in January 1995 and ended with his acquittal more than eight months later. Most people focus on the cute tag line by the late defense attorney Johnny Cochran when O.J Simpson was asked to put on the bloody gloves, “If It Doesn’t Fit, You Must Acquit”. There is a general rule withing the legal industry that a lawyer is never to ask a question they do not already know the answer to. Assistant DA Darden blew this one. 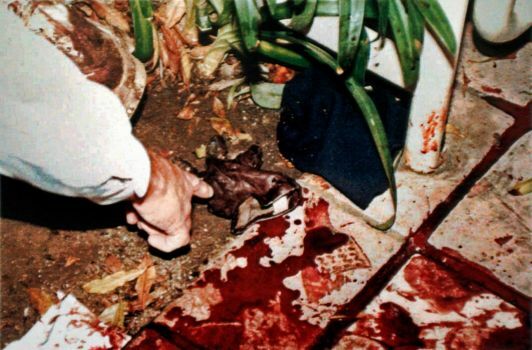 However, folks may want to better remember where that bloody golf came from, the gruesome crime scene where Nicole Brown Simpson and Ron Goldman were stabbed to death. Where Nicole’s head was nearly severed from her body. Take a good look at that bloody glove, doesn’t seem so cute with “if it doesn’t fit” does it? What doesn’t fit is that an obviously guilty individual was set free. WARNING – DISTURBING AND GRAPHIC PHOTOS: pics here of crime scene. 16 months after the killings of Nicole Brown Simpson and Ron Goldman on June 12, 1994, a jury found there was not enough evidence against O.J. Simpson to convict him. But there was plenty of evidence the jury didn’t see. Two other key witnesses told police they saw O.J. Simpson soon after the killings. Jill Shively said, “All of a sudden, a white car comes flying north on Bundy, and I barely miss him. It was O.J. Simpson.” But Shively never testified because she sold her story to the press. Jurors never heard, either, from Skip Junis, who said he saw the former football star and actor at the airport later that night. “He was carrying this little, cheap gym bag, and was pulling things out and dumping ‘em in the trash can,” he said. There was also a suicide note, read by Simpson’s close friend Robert Kardashian. It was never heard in court. Neither did 911 recordings from the police’s famous low-speed chase of the white Bronco on Los Angeles highways.